I have enjoyed training and participating in triathalons for many years and enjoy the challenge and the satisfaction in conquering something that seems too big to accomplish. I believe endurance is developed by pushing on when everything tells you to quit. Once you realize you can make it your confidence and ability to endure grows and you learn just how far you can push your body. I appreciate anyone who even considers putting themselves in this position. To aspire to tackle a big challenge that you know will push your body to the physical limit and will require you mentally overcome all the signals telling you to quit is a rare trait. I am proud of Drew for not only aspiring to take on this difficult race, but committing to do it even though he had some injuries and lots of excuses that could make quitting easy. He chose to take on the challenge and pushed himself beyond any distance that he completed in training. A 70.3 Ironman involves swimming in open water 1.2 miles, biking 56 miles and running 13.1 miles. It requires planning, physical endurance, pacing, and most importantly mental toughness. You have to plan out your fluid, energy, speed and most importantly talk yourself through the mental battles that compete in your head over the many hour race. 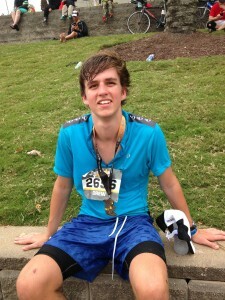 This was Drew’s first race and he finished! The weather was “sketchy” and he was one of the only ones without a wetsuit. He had suffered with an Achilles tendon injury that prevented him from running and we all were leaving an open door to back out. He was determined not to back out and to finish. The whole family spent the weekend in Galveston to cheer him on. Congratulations to Drew Applegate for this big accomplishment. 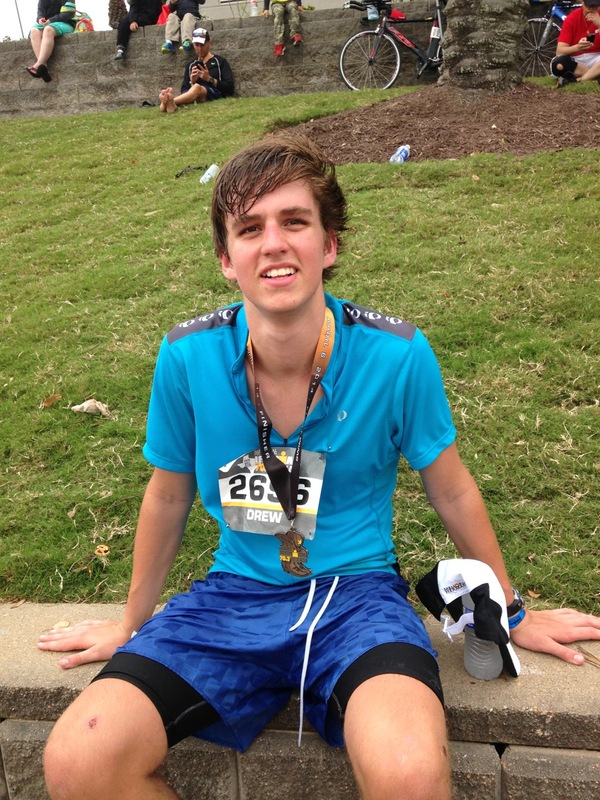 This entry was posted in Family Adventures, Meet the Applegates and tagged Drew Applegate, Endurance, Galveston 70.3. Bookmark the permalink.